The New Run, Jump, Throw resource has been designed to place running, jumping and throwing at the heart of school physical education and to support teachers in delivering athletics activities in an inclusive, exciting and engaging manner. Run, Jump, Throw embraces a child’s natural desire to move. The resource focuses upon running, jumping and throwing, the building blocks of athletics, which in turn underpin nearly all other sports and physical activities. Within this resource teaches will find three Teaching Sections covering the main stages of development: ages 5 – 7 years, ages 7 – 9 years and ages 9 – 12 years. In addition teachers will find information on How to Measure a pupil’s progression and improvement and a series of Support Cards (including Pupil Cards, Top Tip Inclusion Cards, Team Relays and Timed Runs information cards). The aim of this certificated workshop is to provide teachers and others working in secondary schools with the knowledge, skills and confidence to deliver enjoyable and engaging running, jumping and throwing lessons that focus on maximum participation, increasing understanding and skill acquisition based upon high quality technical models. Based upon the Elevating Athletics Secondary resource, the course demonstrates progression across all age groups in generic running, jumping and throwing activities. It is based upon safe and inclusive teaching methodology, which focuses on developing competency in the execution of athletics specific skills. The additional programmes and resources available to support delivery, measurement and assessment, citizenship and problem solving are signposted and inclusion of all children and ongoing steps into competition are highlighted. scottishathletics offers opportunities to schools for ‘bespoke’ programmes of teacher support for schools with particular athletics requirements and for those where the majority of teachers may have already attended the Elevating Athletics workshops in the past. 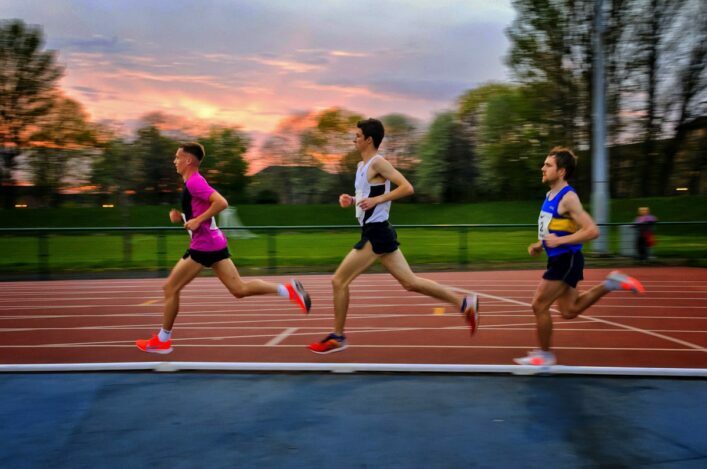 The 3 hour Leading Athletics workshop is available for school pupils (14+) and allows for the training and development of new volunteers, with the ultimate aim of supporting existing leadership programmes and attracting more young leaders into the sport of athletics. This workshop acts as a pre-entry point into the formal coaching pathway as well as providing young leaders with an enhanced understanding in the practical delivery of running, jumping and throwing activities. For further information on teacher CPD opportunities for your school or area please contact the office on 0131 476 7328.